It might only be a corner of a crossroads but what a corner! 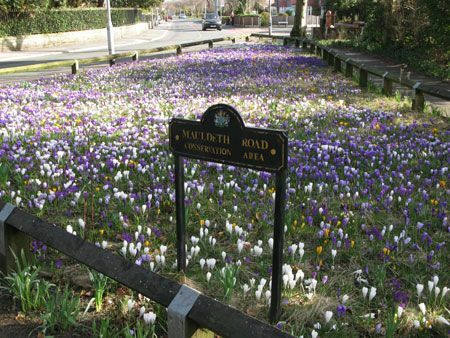 The carpet of crocus in March is stunning and followed by daffodils. The rest of the year this little piece of green space is kept immaculate and a pleasure to pass by. This has to be the smallest green space in Stockport that has a Friends Group and shows that a small well loved area can be a delight to the community.